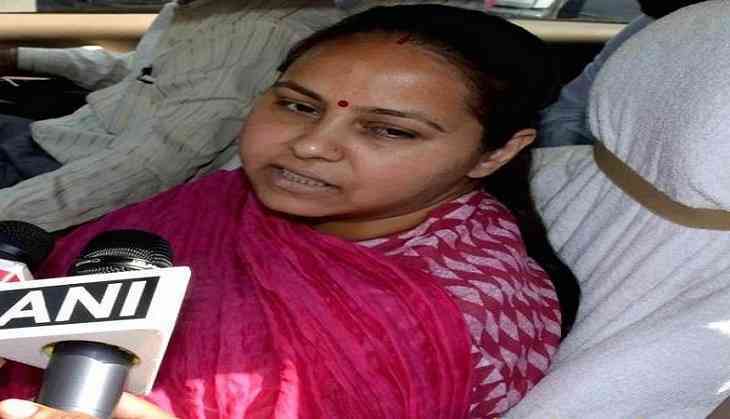 The Enforcement Directorate on 5 September attached a farmhouse owned by Rashtriya Janata Dal (RJD) supremo Lalu Yadav's daughter Misa Bharti in Delhi's Bijwasan. Earlier on 21 July, the Enforcement Directorate had filed a chargesheet against Bharti's Chartered Accountant (CA) Rajesh Agarwal in connection with a Rs. 8,000 crore money laundering case. Earlier on 11 July, Bharti was questioned for around eight hours by the Enforcement Directorate officials in connection with the case. She was reportedly asked to bring along certain documents, including those related to her personal finances. She was probed about her links with CA Rajesh Agarwal. Misa's husband Shailesh Kumar was also grilled by the Enforcement Directorate in the corruption case. On July 8, the Central Bureau of Investigation (CBI) raided three Delhi premises of Bharti, her husband and a firm allegedly linked to them in the money laundering probe involving shell companies. The Enforcement Directorate is the third central probing body investigating alleged financial irregularities by Lalu Prasad's family after the CBI and the Income Tax department.